1. There is no cooking involved. 2. It is so easy to make! 3. Everyone loves it. We all clean our plates and beg for more whenever I make this. 4. The Oreo O’s cereal. This cereal is the bomb! The chocolatey flavor is to die for. 5. 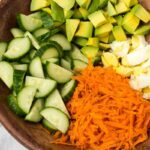 It is so quick to make: Seriously, it’s a 5-minute affair. Bonus point: It is elegant and so classy, looking like you put in a lot of effort when in fact, you only combined things in a bowl. How is that for awesome? Another bonus point: It is wholesome with fruits, protein and just great nutrients to start off your day. Another bonus point: Mixed berries are life! (But you could use any fruits you like: mangoes, apples, bananas, pineapples, and so on). 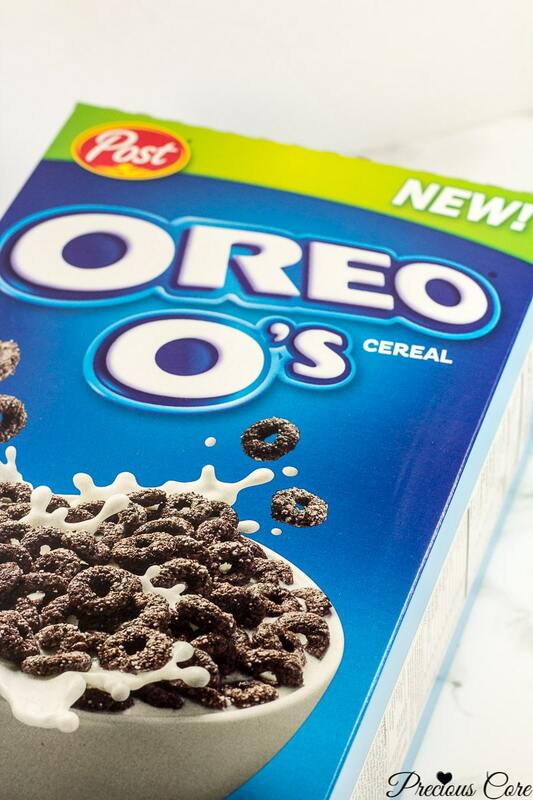 To make this, you need some Oreo O’s cereal by Post or any other cereal of choice. You could also try the Honey Smores Maid cereal by Post. It is awesome! 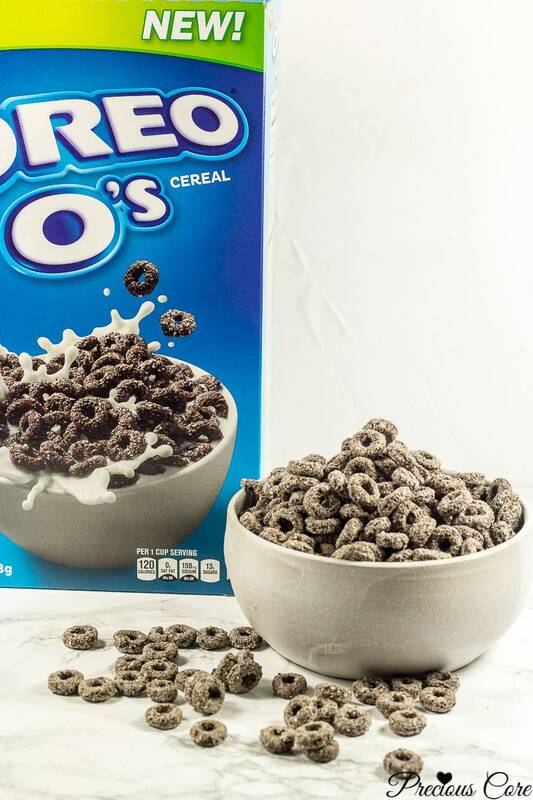 Oreo O’s cereal was widely eaten in the United States 10 years ago. It just returned back to grocery stores and chocolate lovers plus those who had it as a childhood favorite are weeping for joy. 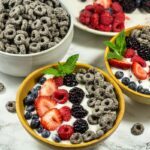 To make the mixed berry parfait bowls, you need some yogurt, berries and cereal. 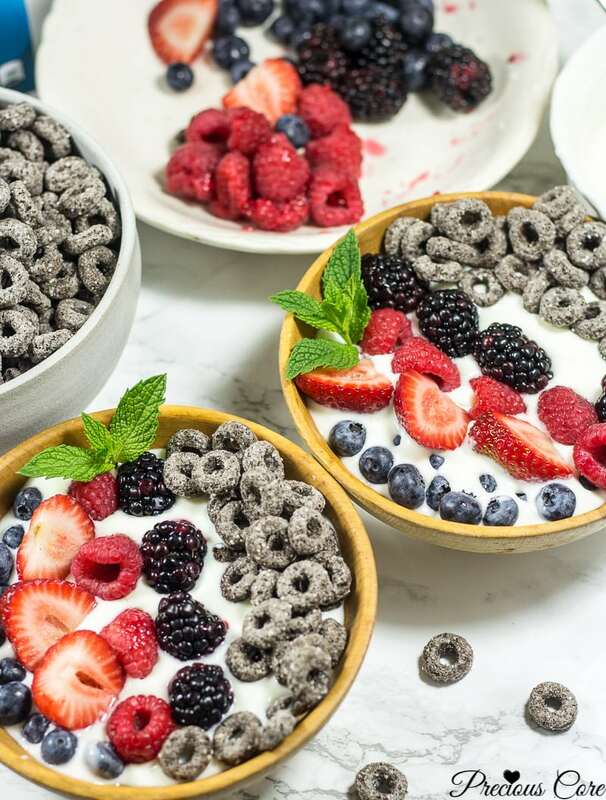 Now pour the yogurt into a bowl and top with the fruits and cereal to your heart’s content. Now I don’t even know if I should call this a recipe but the full recipe is below. Also, check out Oreo O’s cereal in the cereal isle at your local Hyvee. I love shopping at Hyvee because it is like I one-stop shop for everything. Most importantly, I love drooling over the pastries at their bakery. Ha. 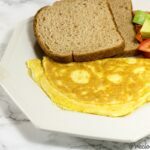 Hope you enjoy this simple and epic breakfast recipe. 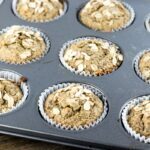 Hope it becomes a regular at your breakfast table! Hope your family enjoys it as mine does. You only need 5 minutes to put together these elegant and wholesome parfait bowls! Place 1 cup of yogurt in one bowl each. 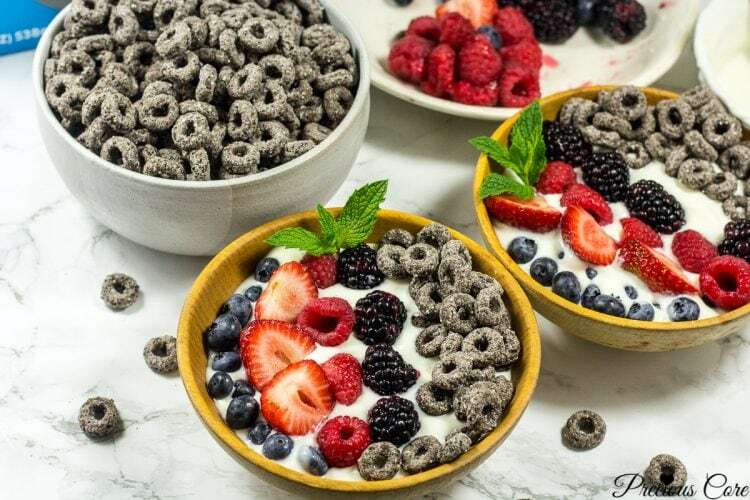 Top with cereal and berries. Enjoy! Oreo® and the OREO Wafer design are registered trademarks of Mondelez International group, used under license” and then “HONEY MAID and the HONEY MAID design are registered trademarks of Mondelez International group, used under license. Can I just drop this phone and give you a standing ovation for your food photography? I was going to read other of your posts and this lovely bowl of cereal caught my eyes. Another inspiration to wet my daughter’s appetite. She love a lot of sweet things and I try not to give in to her demands. This is a sure Balance of sweet and healthy. Lovely! Awww you are making me blush, hun. Thanks so much! 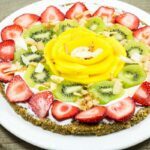 My kids always clear their plates when I make this for them so hopefully your daughter enjoys it too.